Kelowna is quickly becoming a familiar place for our family. That's something I would have never expected years ago. Winnipeg is the kind of city that people stick to like glue. It's a family centric place, so it's not unusual for people to live within a few minutes drive of most of their extended family. When you get used to that closeness, it's a bit of a shock to adapt to long distance relationships. I think we've done pretty well since Todd's brother and his family shipped out to Kelowna, BC. We've been there to visit 4 times between us. It helps that they picked such a beautiful part of Canada to call home. Last summer during a family visit to Kelowna, we took a picnic lunch up to Knox Mountain Park. With summer coming up, and some fun blogging plans in the works for 2017, I thought I'd brush off the dust with a few scenic photos from that afternoon. Enjoy! from the Knox Mountain Overlook. 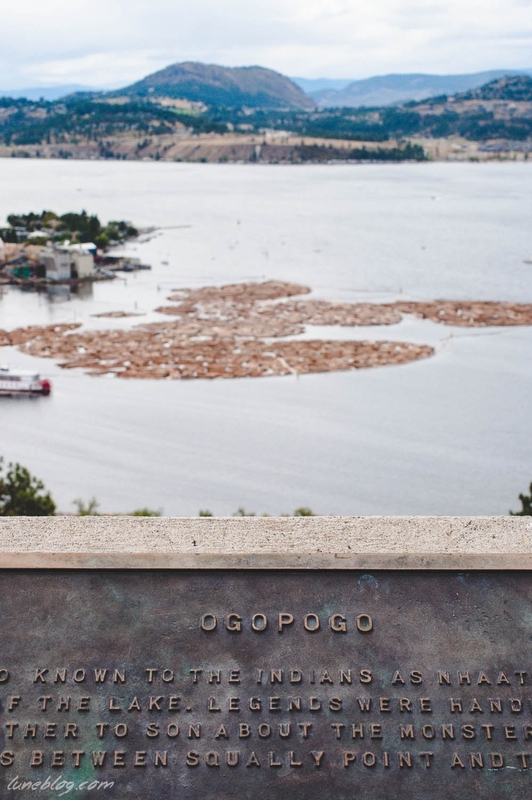 "Knox Mountain Park offers some incredible breathtaking views of Okanagan Lake." "This beautiful Kelowna park is located just north of the downtown Kelowna district. It's a wonderful place for hiking and mountain biking, with many trails, and the park also has a picnic area with a playground where you can spend an afternoon away from the beaches, just relaxing and enjoying all that the Okanagan Valley has to offer."